Since my teenage years, I knew I wanted to be an architect. Once that became a reality, traveling the world was easily the next goal in line. To live abroad and travel places meant I was to be a foreigner more often than not. Which, to me, was an exciting state in which to find myself. Among all my travels, three specific countries shaped who I am today: Brazil, where I was born and lived most of my life; Germany, where I truly became and architect; and China, where I realized how truly different can people and cultures be. My country of birth, my first home. 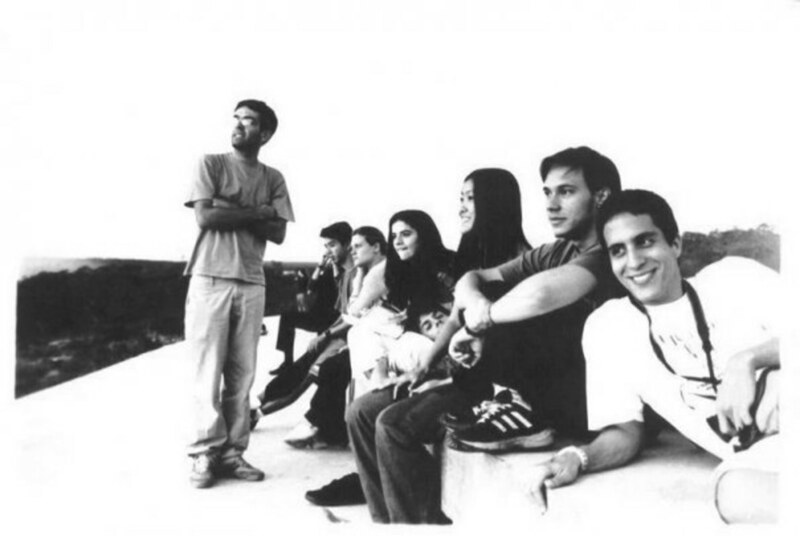 I lived my whole Brazilian life in the same city, which by chance was home to one of the best universities in the country, Universidade Estadual de Campinas (State University of Campinas, or Unicamp). In the year I was to start my undergraduate studies, they launched their shiny new Architecture and Urbanism course , and I was lucky to be part of its first group of students. One major difference between this course and other universities was that it was a night course. Five days a week, from 7 to 11 pm, plus Saturday from 8 to 12 am. Because of the time reduction, it was to be completed in 6 years. Being part of the first class of the new Architecture course meant we were "lab rats". Add to the fact that we were on a night shift, we were pretty much on our own. Although this led to a lot of problems, it also resulted in one of the most wonderful periods of my life, where I learned not only a little bit about architecture but also made friends for life and learned that we have to carve our own way into life. It was by chance that I started learning German during my university years in Brazil, but not by chance that I chose Germany to be my next destination in my studies. At that time, Facebook was in its infancy, and websites like Dezeen or Archdaily were still on their infancies. Needless to say, information about what was going on abroad in the architecture world was very scarce, and my knowledge about interesting architecture schools for a graduate program was very poor. As were my economies. In Germany, like in Brazil, the best universities are state-owned and would charge, at that time, relatively small tuition fees. After much research, I was able to find an interesting Master of Architecture program taught in English, at the Dessau International Architecture Graduate School (DIA) in Dessau-Rosslau, where I would spend the next two years of my life. 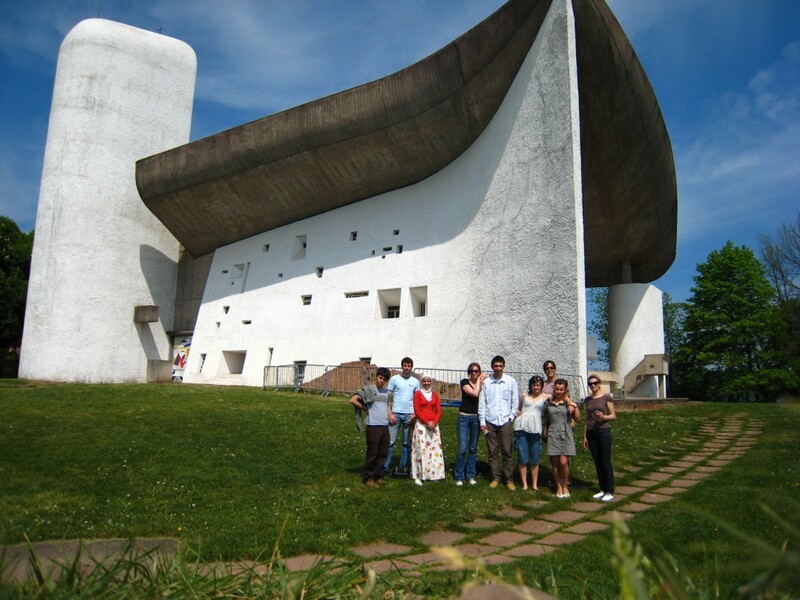 Studying in Germany opened my eyes to what architectural education can be. In Brazil, studio culture is non-existent. And while many might disapprove the long hours and extreme overworking architecture students are subject to, its intensity is an undeniable boost in creativity and friendships. Being in Europe also opened up the world to me. Brazil is amazing and vast and diverse, but it is also pretty much isolated down in South America. Germany, on the other hand, is an island in a sea of countries. In a one-hour train trip, I would be in another country, with a different language and people and customs. It ignited my passion for travel, which at the time I couldn't explore to the maximum because of my limited funds. My first visit to the Alps in Switzerland during a studio trip. After graduating and doing some poorly paid internships in Germany, I decided to take another plunge and move to Asia, a continent that always attracted me. 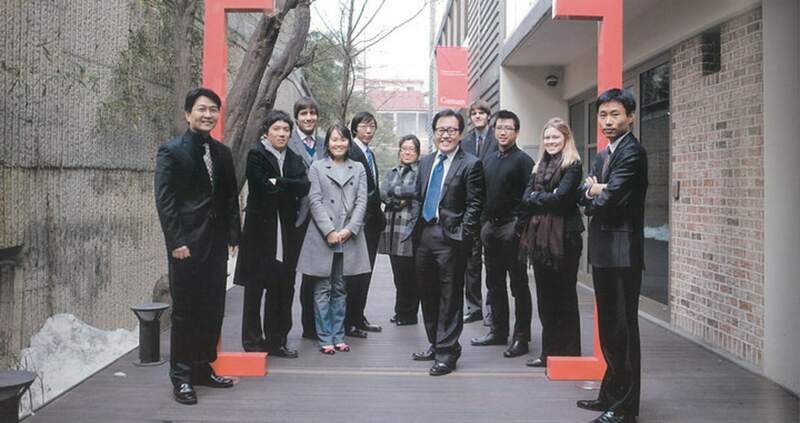 I found a job at a Korean architecture office, Gansam Partners, to be part of their up and coming design studio G.Lab*. The G.Lab* team at Gansam Partners. Yes, I had to work in a suit and tie every single day. Being in Korea was magic. It was a shock, but one that I savored as much as I could. The food, the people, the culture, the sights; all were new and entirely different than anything I had seen before. However, it was the culture shock at the workplace that took the best of me. The extremely hierarchical environment of a large corporate office in Korea, combined with the unhealthy dose of overtime and mistreatments, and the lackluster work we were led to produce, made me give up my position after a few months, to try the luck again back in Europe. 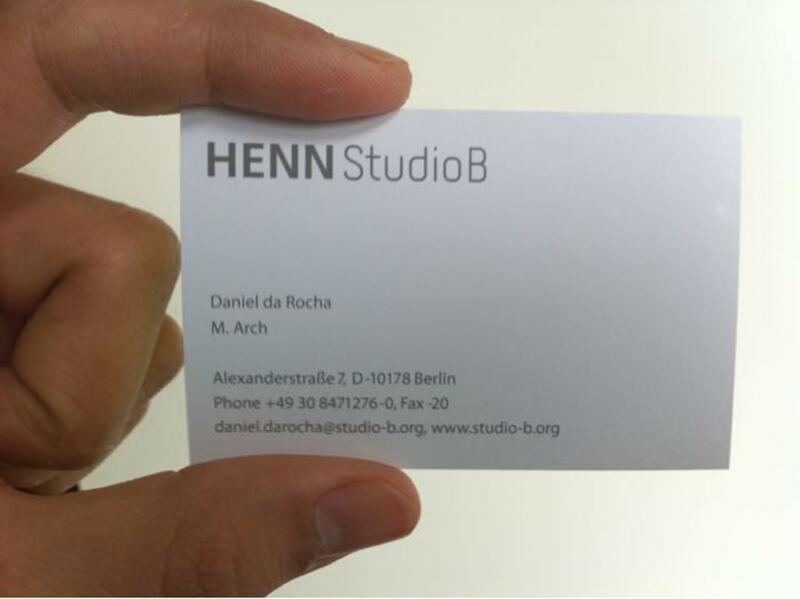 Back in Germany in 2010, after a few weeks of search, I was lucky enough to be hired by an exciting new company, HENN Studio B . At the time a "child-office" of HENN Architekten, HENN Studio B was mainly focusing on developing an innovative design approach to new projects for its mother company. It was a tight team of 5 based in the middle of Berlin, and I was the first "outsider" they hired. My first year at the new job turned out to be pretty successful. 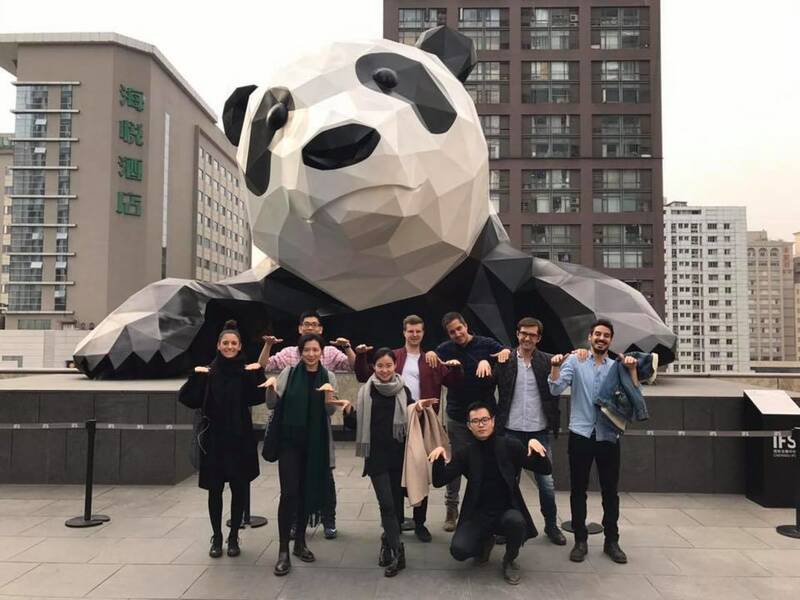 We won three large-scale international competitions and in no time started hiring new talent and were soon in a group of around 20 colleagues. Studio B would later merge with the main company, and become HENN Berlin. As we also had offices in China, I started to visit the country for specific projects regularly and began to shape my next step in my career. I started to come to China in 2012 and have been coming and going for three years until I decided to stay permanently for a few more, still working for the same company. During one of our recent office trips to Chengdu, in the Sichuan Province. My love for this city and country grew slowly and certainly had its ups and downs. I love Beijing for its food, its people, the ease of life, maybe even the similarities with my own culture. It saddens me to see all the bad things that drive people away from it (pollution, censorship, food scandals), and which will eventually drive me away from it, but for the time being, I love being here. And being here also means more and more opportunities to travel and see the country and the region, which I've constantly been doing. Contrary to many professional travel bloggers, I am not a nomad, nor I have plans to leave my profession to become a professional traveler. This blog started as a way to share my experiences with like-minded folks from around the world. I have been doing it for a long time in my blog in Portuguese, which is a bit too much oriented for my family and friends back home. I have always wanted to do it on a larger scale, to reach a wider audience, and this is the beginning of it. So, for now, I will stay put in Beijing and will keep traveling whenever I can, exploring the architecture and food out there. You and this blog will be a motivator and a companion for it.